I based this on my wonderful sea cub, avrilfan2213​‘s prompt for today. THIS post, read it. 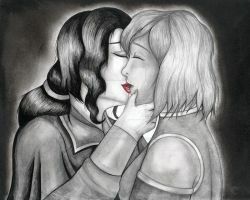 "I always love your scent Asami, it's like you're just out of the shower." 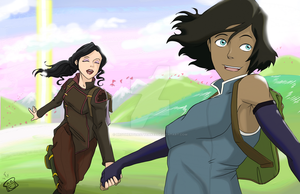 "You smell like you could use a shower Korra." "Don't worry, I'll help make sure every nook and cranny is squeaky clean."